Walking to school my son took this photo today. 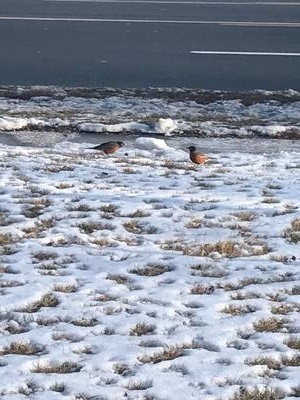 We always have a competition on who can see the first robin of the year. Thanks for letting us know - I will also post this on our facebook page.